The shiba inu is a breed which origninated from Japan. Not to be confused with the Akita, they are much smaller in size. They are also the smallest of the 6 breeds that have originated directly from Japan. It was a breed used for hunting a variety of game and was nearly wiped out due to World war II. 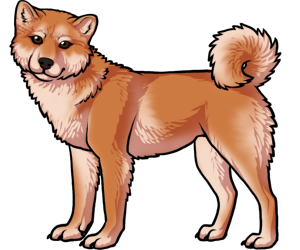 In 2009, the movie "Hatchi: A dogs tale" used a Shiba inu to play Hachikō, who was originally an Akita. Shiba Inu's are the most common house dog kept in Japan.